With stunning turquoise beaches and sunshine, Fethiye is the summer paradise that is Turkey’s best kept secret. Fethiye is a little overgrown village liberally sprinkled with resorts, restaurants, cafés, shops, etc. From lazing on seashore to exploring the amazing canyons, and flying over the picturesque Blue Lagoon to enjoying the beach activities, this Turquoise Coast has a wealth of attractions that keep you busy. 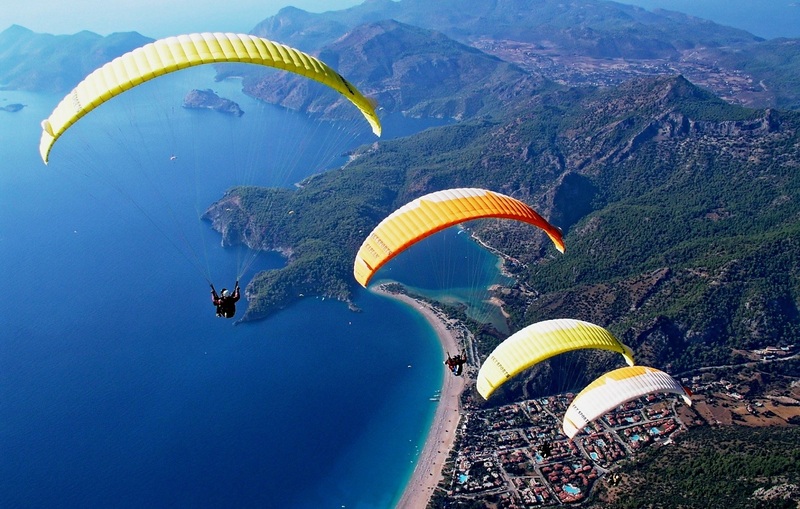 So set your wings to indulge in the tranquil beauty of Fethiye. Scroll down to experience Fethiye’s stunning attractions and must-do activities. 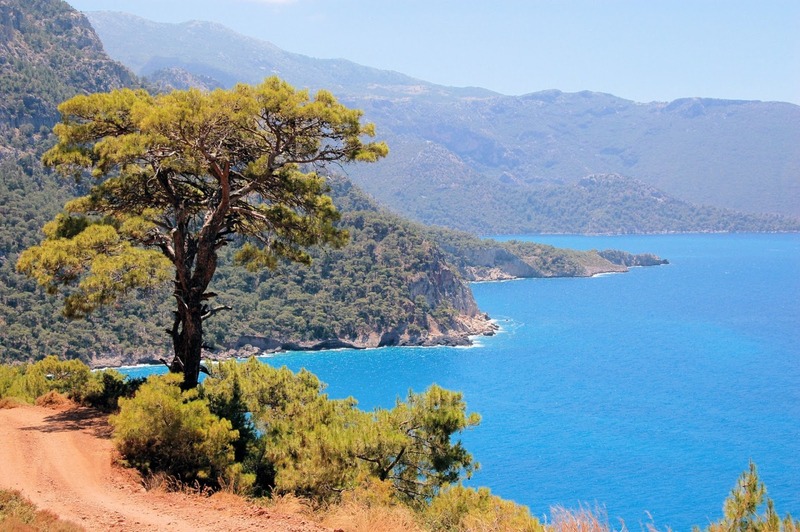 Being a hidden scenic gem of Turkey, Kabak Koyu is a great place to indulge the beauty of nature. Kabak Koyu is 30 kilometers away from Fethiye and located close to the of Ölüdeniz village. You can see a number of waterfalls along the canyons. Kabak Koyu is best place for doing nothing and to have a truly laid-back experience. But taking a swim in the Mediterranean and yoga course offered by guesthouses and hiking are few must-do things if you want to activate yourself. 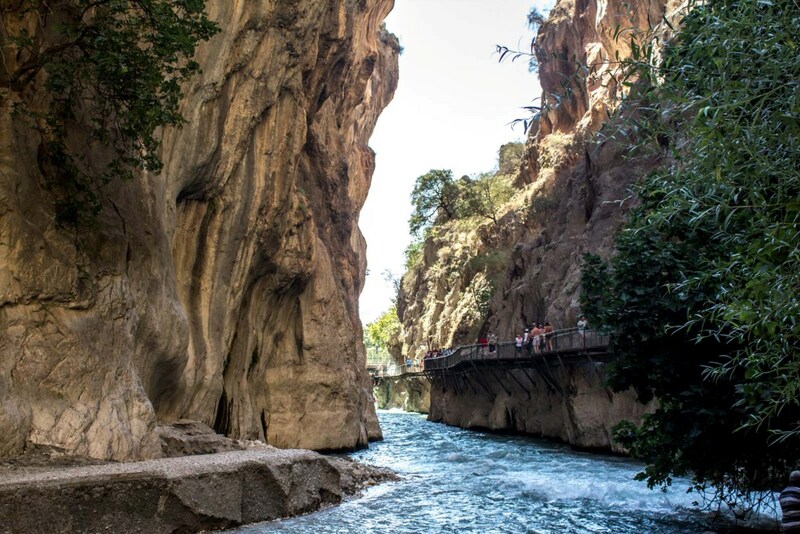 Saklikent Gorge is a popular daytime excursion in Fethiye, since it is one of the deepest canyons in the world. You can enjoy the day trip all year round. Months during November and March, the water level can get high, so you would not be able to walk through. If you’re planning a day trip to Saklikent Gorge, then don’t forget to pack sea shoe or sensible submersible shoes with grip, extra pair of clothes, swimwear, camera, suncream, money, and bottles of water. No trip to Turkey is complete without visiting Paspatur, the Old Town of Fethiye. Strolling around Paspatur is the most loved activity. Go for shopping, or grab a bite at the Turkish restaurants or buy some souvenirs from Turkish carpets to gold or silver ornaments when you visit Paspatur. Don’t miss to treat yourself with Turkish Bath in the Haman Paspatur. Ölüdeniz is one of the most photographed and most appeared on the travel brochures of Turkey. This is home to the world famous natural landmark – the Blue Lagoon which forms a small cove by separating the main beach. There’s a small fee to enjoy this secluded sandy bay, but it is worth seeing its stunning turquoise waters. 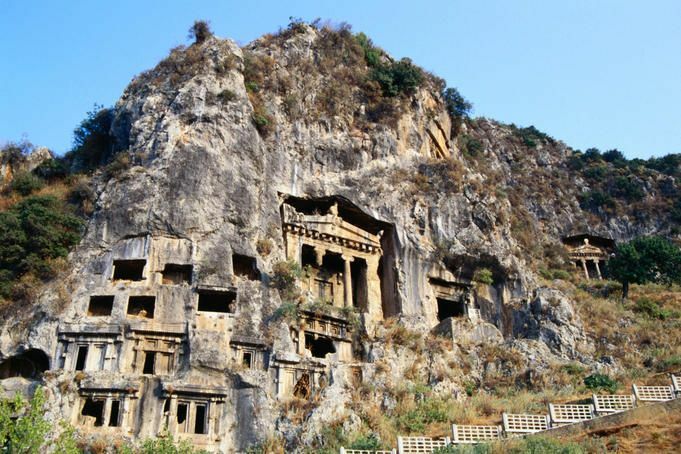 Carved into the side of a huge hill above the town, Amyntas Rock Tombs are the most famous landmarks of Fethiye. These impressive were once filled with treasures from the ancient kings. Exploring these tombs feels like stepping back in time during 4th century. Despite the external grandeur Romanesque columns and intricate reliefs, the interiors of the tombs are divided into chambers with a simple monolith inside to display the body and the rooms. If you’re ready for challenging walk, then climb up to experience unforgettable views of the bay. Fethiye has lots of treasures to see but there are more to be explored only by the sea. 12 Islands Daily Boat Tour is one of the best daily tours in Fethiye. Besides this, visitors also choose private trips from Fethiye to visit its secluded bays which costs around £150 for the boat. 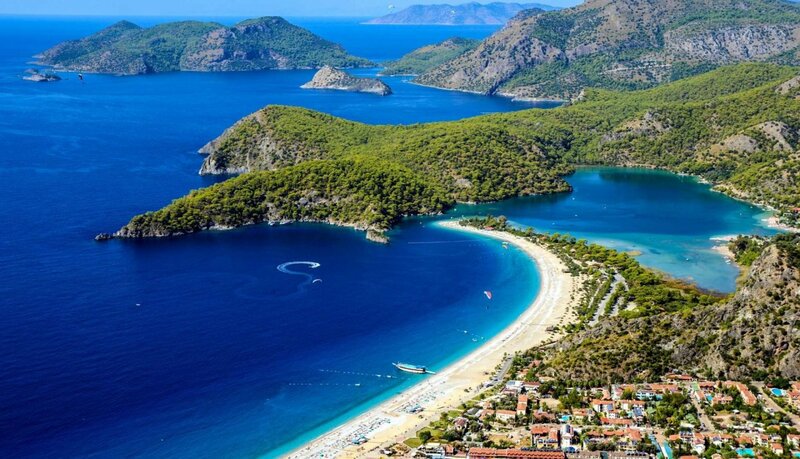 Oludeniz beach, Calis beach, Karaot Beach, and Aksazlar Beach are the most popular beaches in Fethiye. Sit up on sunbeds and enjoy the amazing turquoise colour of the seas surrounded by you. Go for scuba diving, paragliding, white-water rafting and much more. 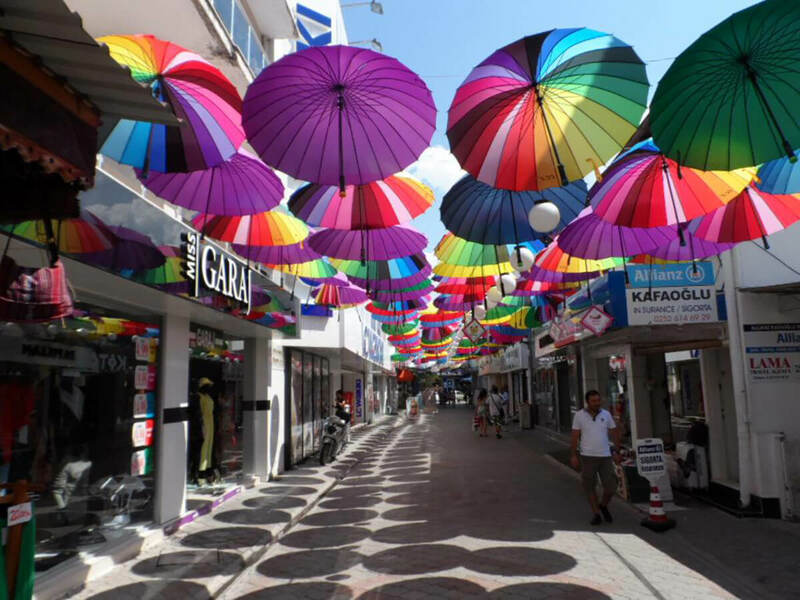 With plenty of shop selling different range of goods from branded clothing to homeware Fethiye is shopper’s paradise. You can find open market somewhere in and around Fethiye on every day of the week. Here is the list of day-wise open markets in Fethiye. Recently opened in July 2018, Şehit Fethi Bey Parkı is the largest recreation area in Fethiye that offers something for everyone; kids and adults alike. Currently, the park admission is free to enter. Located along the harbor this recreational park offers a plenty of activities to enjoy. Chill by the water, have a stroll around the park, and also you can use outdoor gym. You can also find skate park for skateboard, BMX, and rollerblading fans.